With the release of 2015 TREB data on Greater Toronto Area home resale, we updated the GTA Home Average Selling Price chart. 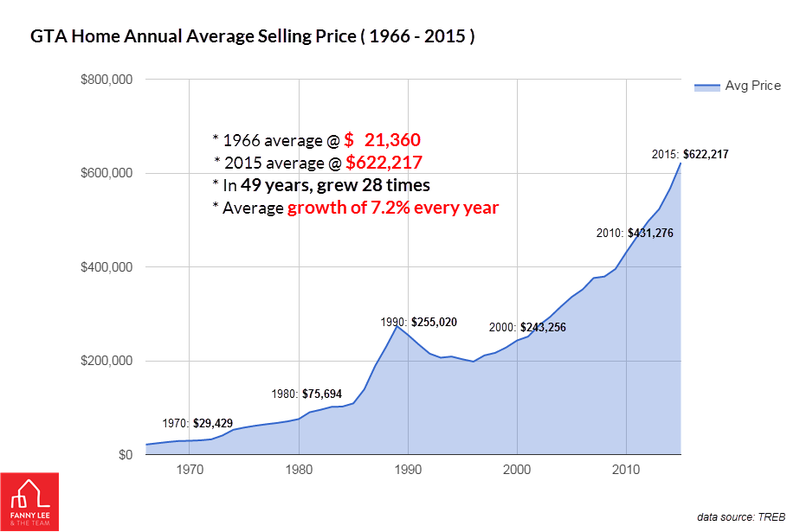 It depicts the trend of annual average of home sales price since 1966, when TREB started to track. Between 1966 and 2015, GTA average home price went from $21,360 to $622,217. 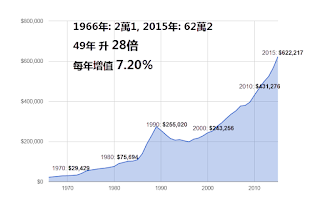 The residential property value grew 28 times in 49 years or an average yearly appreciation of 7.2% . Real property not only provides a home for the family but also a mean to grow wealth. In December, TREB recorded 4,945 resales in Greater Toronto Area - the 2nd best December recorded. This brought the annual total to 101,299 resales, a 9.2% increase from 2014's total of 92,782. 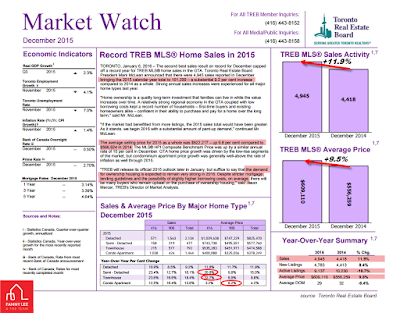 2015 was a record year for TREB home sales in GTA. - The average selling price of 2015's 101,299 home resales was $622,217. 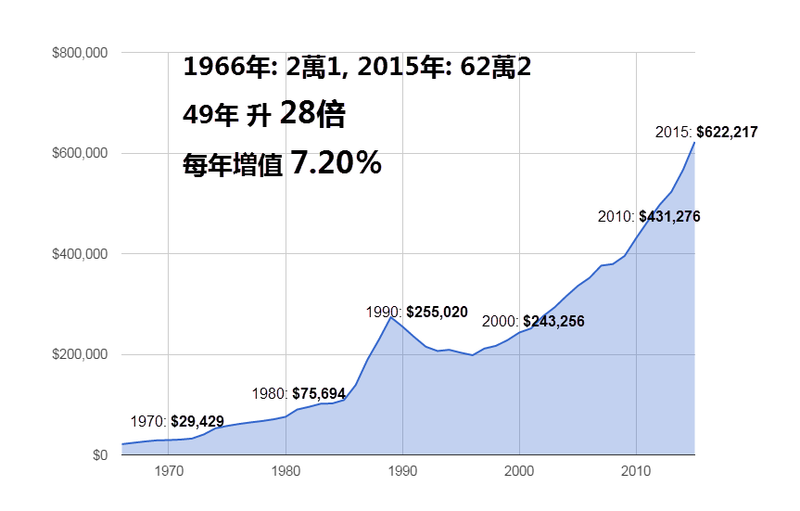 It represented an appreciation of 9.8% from 2014's average at $556,624. - December sales increased by 11.9% in volume with average price at $609,110 (+9.5% in price from 2014 December). - December average price of GTA homes: Detached @$825,470; Semi-detahced @ $577,760; Townhome @ $474,588; and Condo @ $378,249. 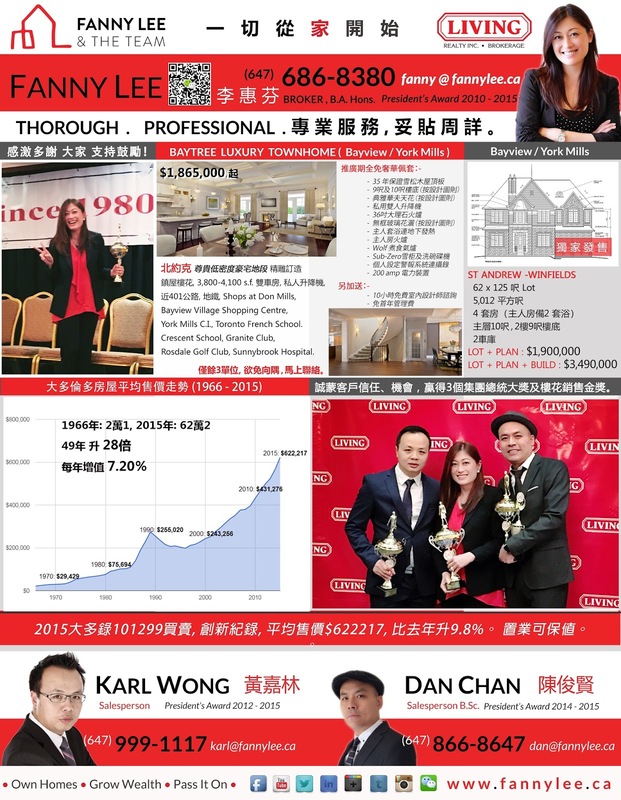 - Compared to December 2014, the segment of "416" Semi-detached, "416" Townhome and "905" Condos became more active. - Year over year, the new listing grew by 8.4%. The active listings were still 10.7% LESS than 12 months ago.
" ... the demand for ownership housing is expected to remain strong in 2016. Despite stricter mortgage lending guidelines and the possibility of slightly higher borrowing costs, on average, there will be many buyers who remain upbeat on the purchase of ownership housing..." said Jason Mercer, TREB's Director of Market Analysis. 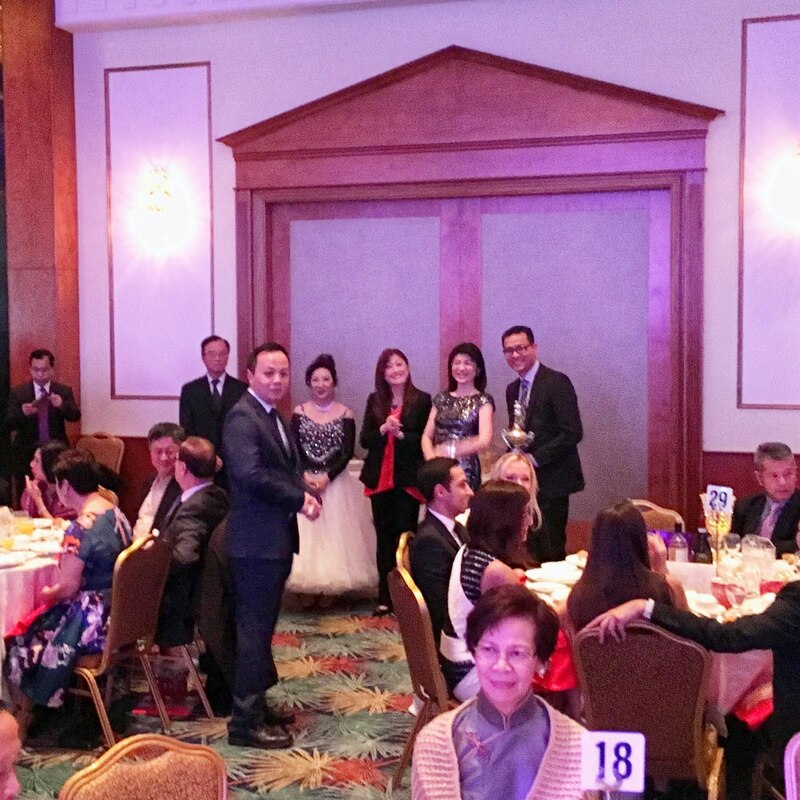 Year end holiday seasons, a year of hard work and the 35th anniversary of our brokerage called for a bigger celebration and award presentation gala. Our team definitely took this opportunity to rejoice. Here we captured moments of December 12, 2015 at Markham Event Centre. * More Happy Clients like yourselves. Our team will Keep Up Our Effort and Get the Job Done. All the best with 2016.